This exhibition links artistic style to spiritual practice. As religious trends of the time brought worshipers closer to their deities, sculptors pursued innovations in woodwork, carving expressive, humanlike forms that were intended to “come alive” during public ritual and private devotion. The show features a stellar lineup of figures, mostly carved in cypress and adorned with gilding and lacquer. Look for the miniature Buddha figures and sutra text, fascinating examples of tiny items that artists left embedded in hollow spaces to empower their figures from within. The Kamakura exhibition begins on February 9 and goes through May 8. Attention all designers, artists, fashion enthusiasts and people who just appreciate some nice Japanese artwork: The Smithsonian Libraries should be your best friends. Among their thousands of other free artwork and books, The Smithsonian Libraries and the Freer and Slacker Galleries, Smithsonian’s Museums of Asian Arts now offer free downloads of thousands of beautiful Japanese prints. Haven’t you ever wanted the simple yet colorful and whimsical prints of Meiji era (1868-1912) artwork as a digital file on your computer? Yeah, we have too and we’re really excited about this cool find. The collection is in fact a series of monthly design magazines, entitled Shin-bijutsukai.They were released in 1902 to show various designs by famous artists of the day. Artists featured include the editor himself, Korin Furuya, and his predecessor, Kamisaka Sekka. 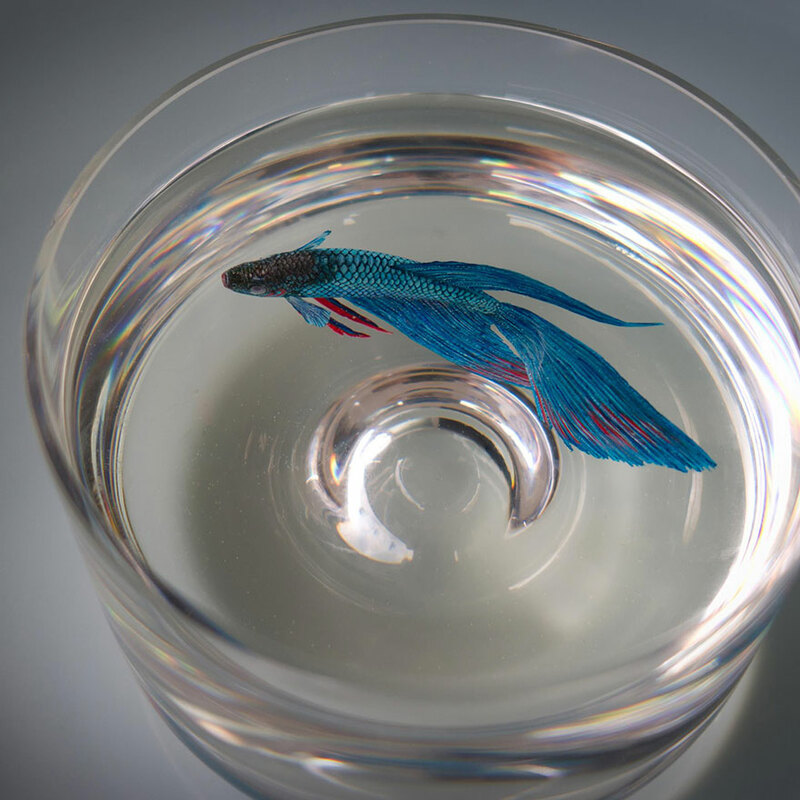 Sekka is known for being one of the first to incorporate Western tastes, styles and methods into traditional Japanese-style works. 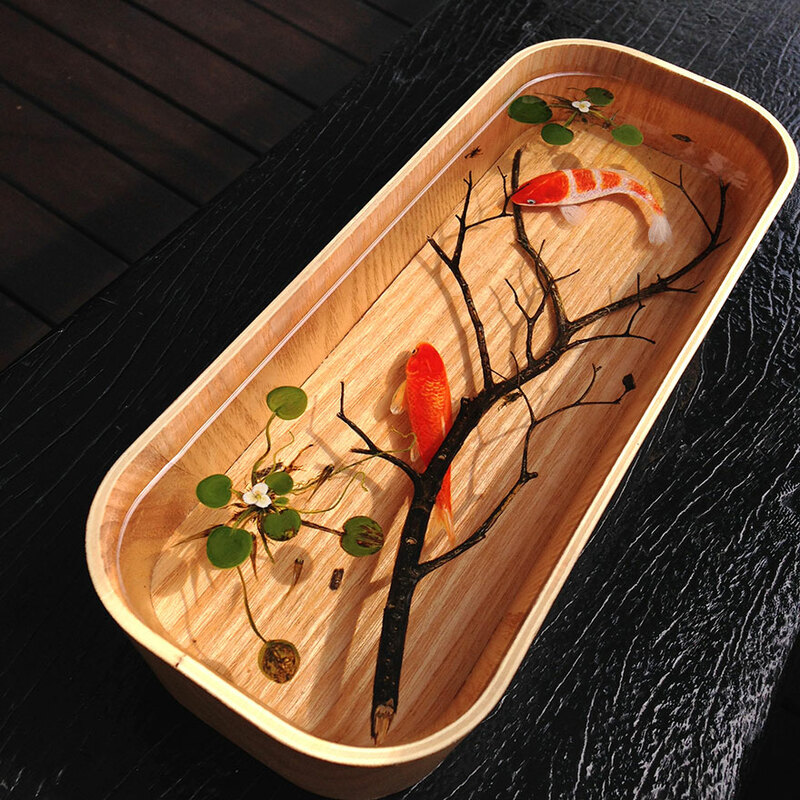 Furuya carried on this new, modern Japanese style and helped spread it around the world. ▼ Can you see the Western influence? If you want digital access to the pictures above and hundreds more, head to The Smithsonian Libraries website. There are two volumes of Shin-bijutsukai and both can be downloaded in their entirety by clicking the links towards the bottom of the website here. Be aware, the files are kind of big, so you might want to stick with computers, not smart phones for this one. If you’re more into traditional artwork, the Freer and Slacker Museums also offer countless free downloads of artwork from all over Asia here. In the Japan section, you can find Edo period woodblock prints from world-famous artists, such as Hokusai and Utagawa Hiroshige. ▼ “Wood-block Print of Two Fish with Floral Sprays and a Poetic Inscription” by Utagawa Hiroshige. Sometimes staring at pictures in museums just isn’t enough; you want to get them from the wall and onto your computer. Now you can and what’s even better, is that they’re available for free. Thank you technology and thank you Smithsonian Library. As Art Central and Art Basel descend upon Hong Kong next week, will it become Asia’s arts hub? 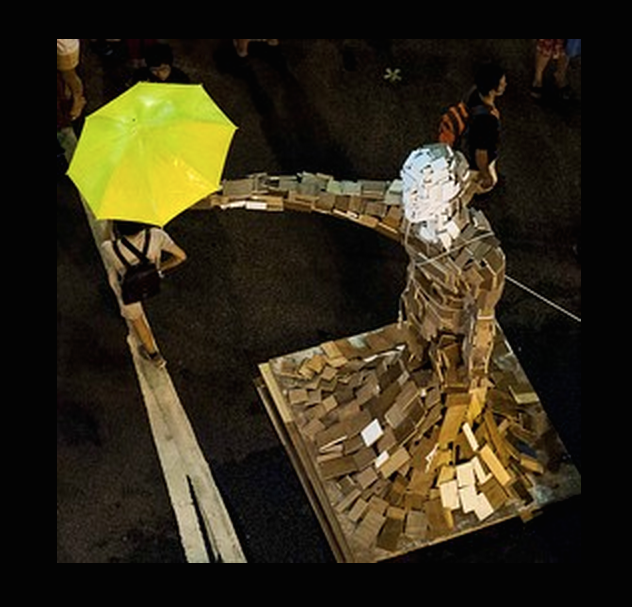 The ‘Umbrella Man’ statue, shown here at a pro-democracy protest site in Hong Kong in October, is one example of locally produced art inspired by the city’s civic unrest. Once ridiculed as a cultural desert, Hong Kong is now a major destination on the global art circuit. Next week alone the city will see two art fairs: A new fair, Art Central, debuts March 14-16, while Art Basel Hong Kong, the most important annual art event in Asia, will open March 13, featuring more than 230 galleries from 37 countries. Buying and selling art fits perfectly with the city’s history as a trading center. But Hong Kong’s local art scene—the one in which local people actually make and enjoy art—has been slower to develop. The Occupy Central protests that paralyzed parts of the city for nearly three months last fall has given Hong Kong a creative boost. The protests resulted in a number of dramatic images, including umbrellas that protesters used to fend off police pepper spray and the iconic 10-foot “Umbrella Man” sculpture. Before police dismantled the protest sites in December, there was a major effort to preserve the art that had been created. Hong Kong Arts Center director Connie Lam says social tension is a nutrient for art making. Cosmin Costinas, executive director and curator of Para Site, a nonprofit art space in Hong Kong run by independent artists, agrees. “An active civil society with different ideas is a much more interesting place for diverse art to develop than a closed society where the king decides he wants to build a museum,” said Mr. Costinas. The burst of creativity could transform Hong Kong from an art marketplace to an arts center akin to New York or Paris. Cities like these have thriving artists’ communities, famous museums, respected art schools and a wide range of galleries. Until recently the art scene in Hong Kong was dominated by high-end auctions and top international galleries, but that is changing with a new art museum under construction and a wave of new galleries. Hong Kong is now the world’s third-largest art market by auction sales. The total number of galleries in the city has grown from about 10 before 2000 to more than 90 now, according to Hong Kong Art Galleries Association. Western dealers such as Gagosian, White Cube, and Ben Brown Fine Arts have opened galleries in Hong Kong in recent years. People don’t pay taxes on art in the city, which gives it a huge advantage over nearly every other Asian city. Despite Hong Kong’s notoriously high rent and small spaces, selling paintings can be very profitable. Lehmann Maupin, a New York-based gallery, expected its Hong Kong gallery in the Central business district to break even in two years. It was profitable in the first year, said founder Rachel Lehmann. Meanwhile, local interest in art has lagged behind. When Spring Workshop exhibited a work by top Chinese filmmaker Yang Fudong a few years ago, it had a hard time attracting visitors. The nonprofit art organization sent young women with hot chocolate into the street to bring in visitors, but they still couldn’t convince people to come see the art. 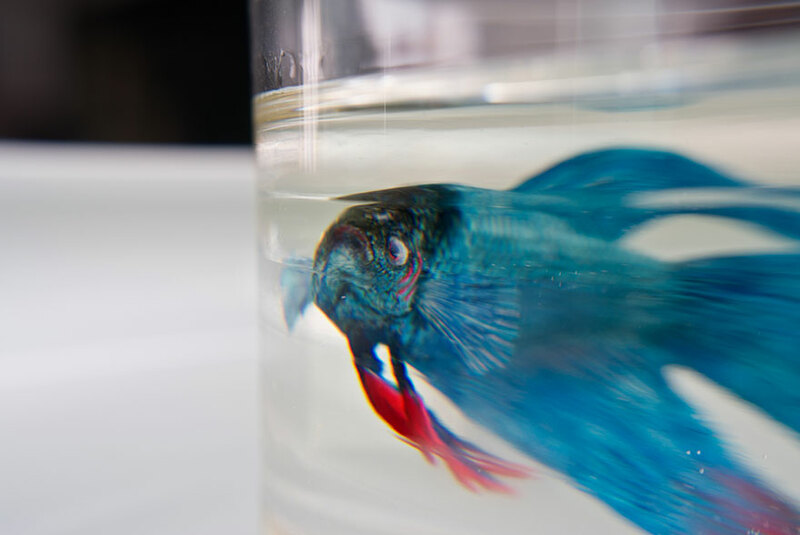 “I am glad that we don’t have that problem anymore, it still makes me cry that we have these beautiful artworks but people don’t want to come to see,” said Ms. Brown, founder of Spring Workshop, located in Wong Chuk Hang, a former industrial town in Hong Kong. The gallery now regularly brings in 800 people a day for its shows. One of the most memorable visitors, Ms. Brown recalls, was a 60-year old lady who showed up on a Tuesday with two friends wearing backpacks and sneakers. The woman said she had been reading about contemporary art and came to check out the arts space with her fellow retirees. Since then she has returned for several events. “Hong Kong is now ready for a lot more deeper engagement with culture,” said Ms. Brown. The city has many students studying music and art—some schools even require students to play two musical instruments—but people treat art as something that isn’t accessible by ordinary people. Parents rarely take their children to museums—partly because hasn’t been much to see. M+, the visual-arts museum scheduled for completion in 2018 in the West Kowloon district, should help by giving the city a world-class exhibition space with an important collection. As the global collecting world descends on Hong Kong next week, bringing with it art valued from hundreds to millions of dollars, it will give residents lots to be inspired by. Two local arts communities will hold their own events to draw in the visitors. There is at least one show dedicated to the Occupy movement. 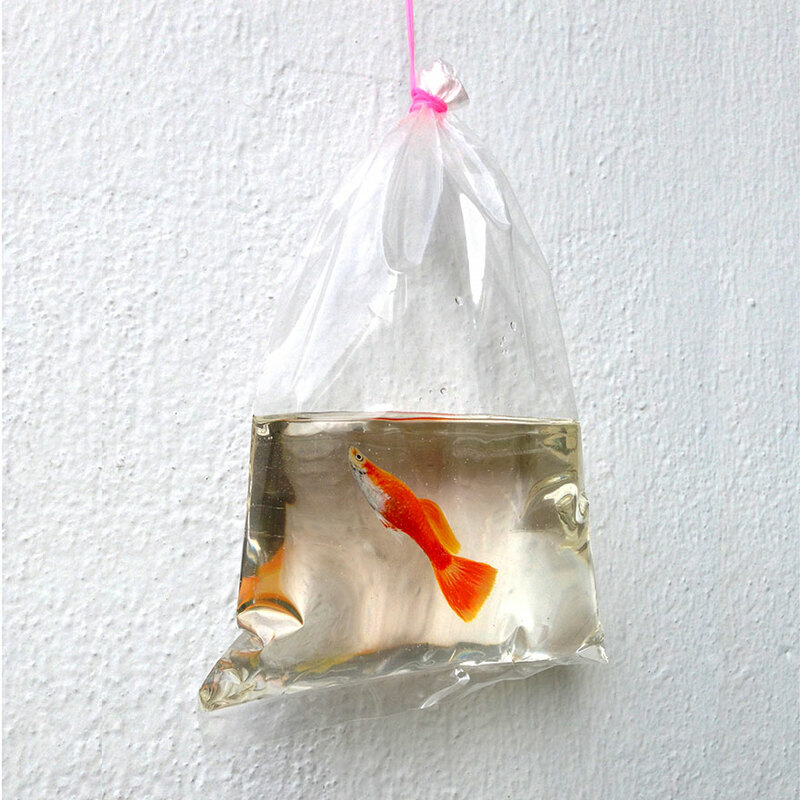 Kacey Wong, a Hong Kong-born artist, will exhibit photographs in a show called Art of the Protest. For visitors who look closely at the city’s overpasses and sidewalks, stenciled images of umbrellas can still be spotted, the last remnants of the art created during the protests. A visitor looked at an art installation at last year’s Art Basel in Hong Kong. 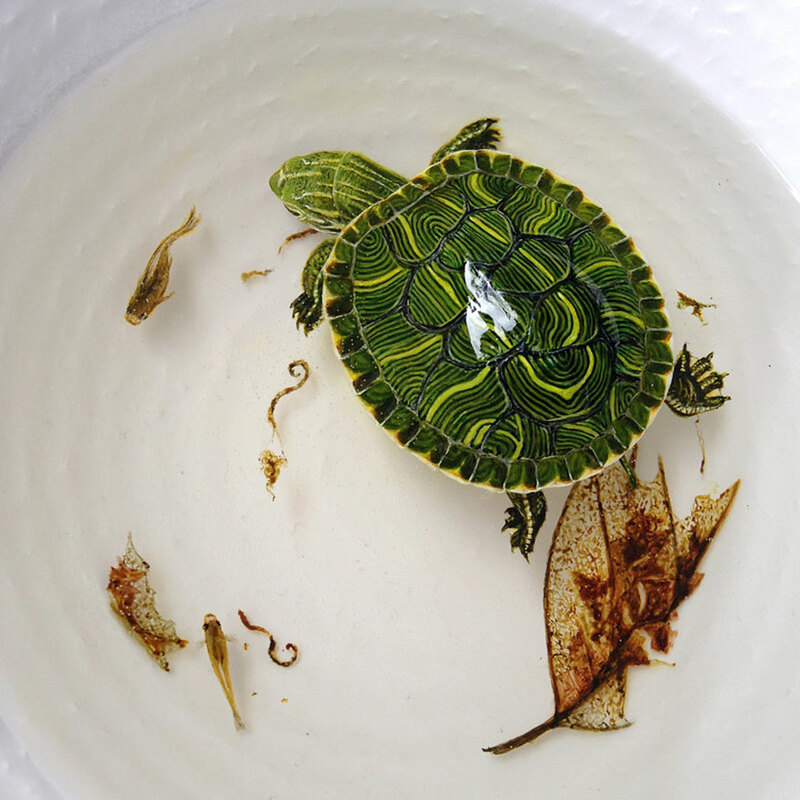 Talented Singaporean artist Keng Lye, whom we previously wrote about here, is back with more of his stunning fish and aquatic wildlife illusions. 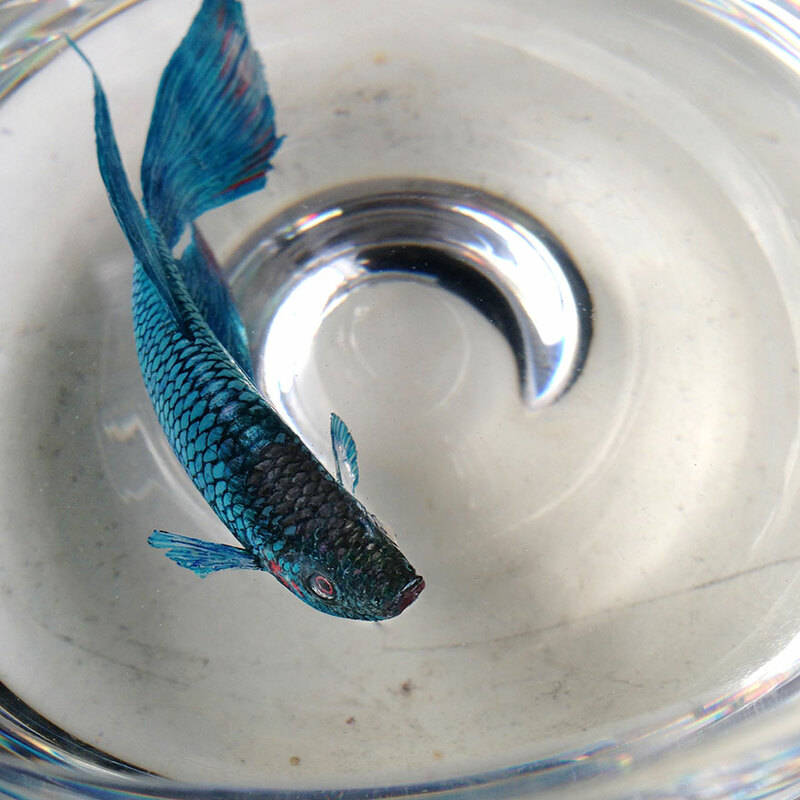 Lye’s method is a brilliant bit of trickery. 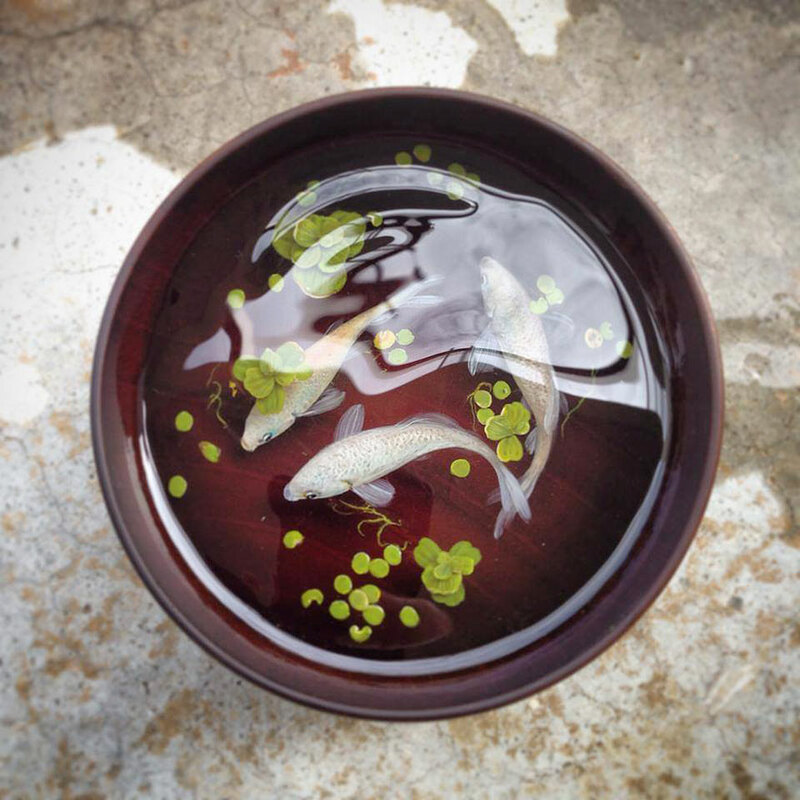 By pouring layers of crystal-clear synthetic resin and painting on it, he creates the illusion that what we’re actually looking at is a bowl with a fish or a turtle in it. The 3D illusion is completed by adding protrusions to make it look as though the turtle’s wet shell is poking out of the water. This time, he also gave one of his fish a sideways view as well. Can you tell the difference between his artwork and the real thing? 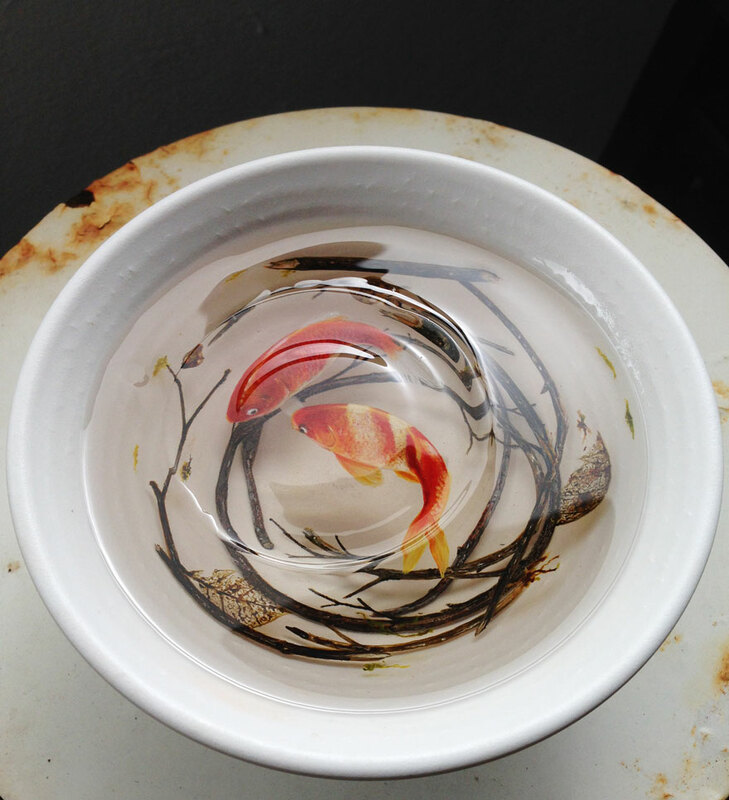 For more amazing 3D fish paintings, you should also check out Riusuke Fukahori’s amazing fish paintings. The serpentine dragon is a staple element of the mythology of many different cultures in Asia, so it’s not surprising that its powerful, writhing form has captured the imagination of many artists there. 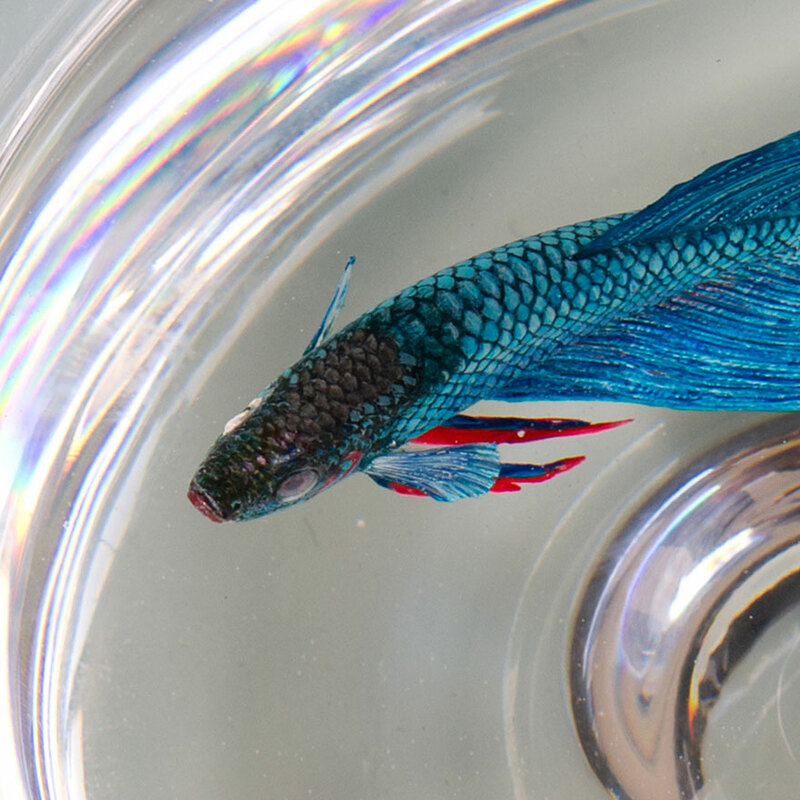 Some talented artists have even mastered the art of ‘Hitofude Ryuu’, or of creating beautiful, multi-colored dragon bodies in a single brushstroke. Each dragon takes more than one stroke, obviously – the head, whiskers, and other details come separately. But the fact that the body is done in one graceful and hypnotizing stroke is still amazing. 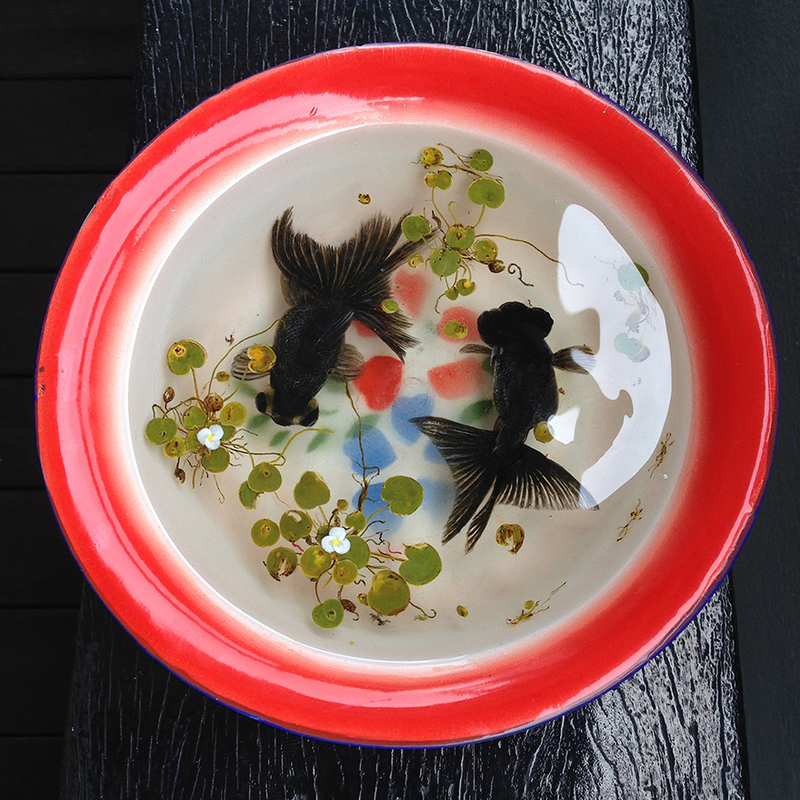 The artists in these videos are from a small Japanese studio called Kousyuuya, but there are many artists in the region who have mastered this graceful and difficult art. Following last year’s debut, Art Basel Hong Kong again took the city by storm, showcasing 245 galleries from 39 countries with 2,000 artists. Split between six sectors — Galleries, Insights, Discoveries, Encounters, Magazine and Film — the fair grew by 10% with 65,000 participants over four days. 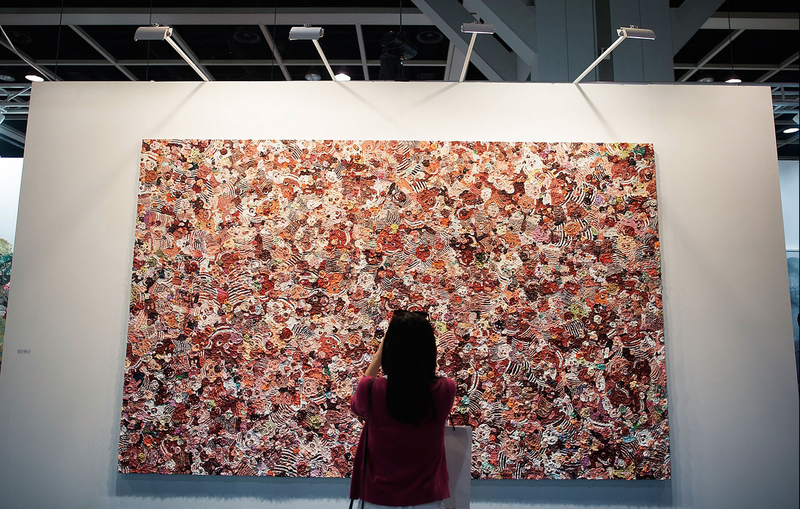 It united artists, collectors, and art aficionados at the Hong Kong Convention and Exhibition Centre. Over half of the galleries came from the Asia Pacific, affirming an Asian sensibility compared to its other stops — Basel in Switzerland and Miami in the United States.